oooooo! these are so good! make these for your next party and your guests will thank you! Preheat oven to 350 degrees. Thaw spinach & drain. Combine all ingredients in a large mixing bowl. Form mixture into 1 inch balls and place on an oiled baking sheet. Bake for 20-25 minutes until brown & bubbly. 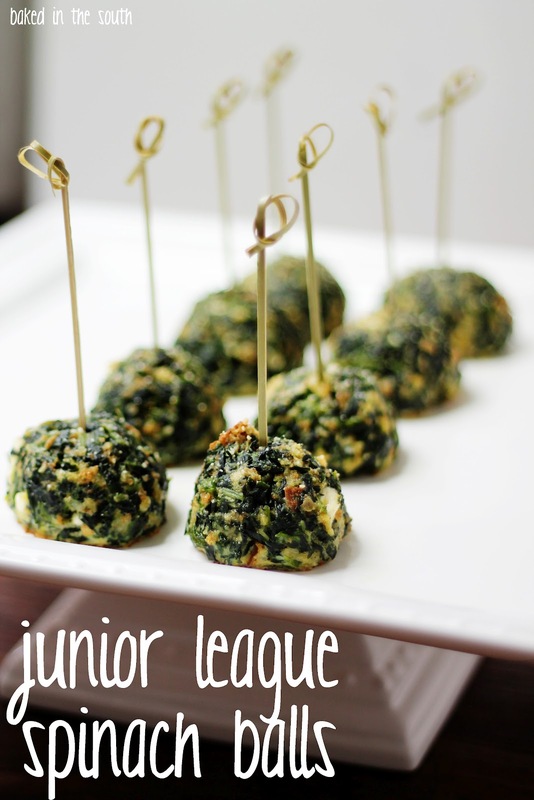 This recipe makes A LOT of spinach balls, so you may want to freeze some for your next party. You can store uncooked spinach balls in freezer for up to three months. Cook balls frozen, do not thaw before baking. 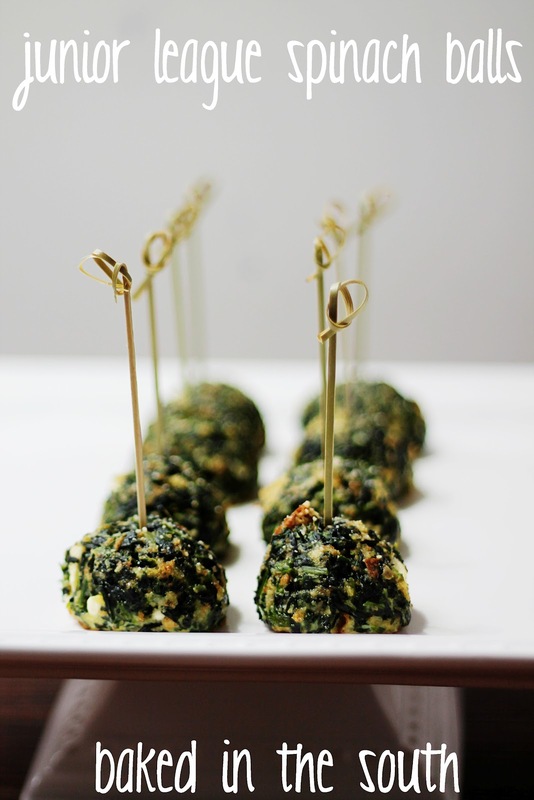 I love making spinach balls as a treat at a party. I have made them in preparation and then put them in the freezer for when I get the unexpected guest pop by ( which has been known to happen ). These look really good. How many ounces were the packages of spinach?